Binds catalog covers, price lists and sample books. 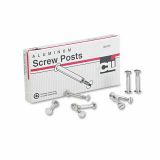 Works with most screw post binders. Note: A minimum quantity of 27 must be ordered, and in units of 1 thereafter. 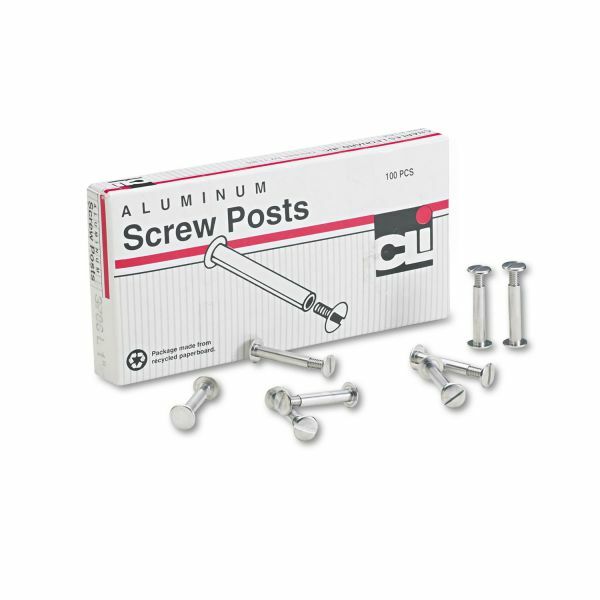 Charles Leonard Post Binder Aluminum Screw Posts, 3/16" Diameter, 1" Long, 100/Box - Use these screw posts for binding papers into various types of covers. Made of a strong aluminum alloy. They are light, nonrusting and accurately made for ease in assembling. All sizes are 3/16 in diameter. Screws are 1" long. Round, flat heads provide a neat appearance.